We believe that when you give, you receive far greater in return. Meet our director of kindness, Jen. Jen is the little spark that was the catalyst for massive change in the lives of Maria and the kids. She’s the driving force behind the projects and initiatives that create sustainable change in the lives of others. Meet the brains behind the operation and the guy that gets stuff done, Grant. Grant's role is to keep everything ticking over to ensure we follow the rules of a registered association and regularly exceed the expectations of our supporters - he's the business guy! He also works closely with Jen on ideas, partnerships and programs that further the crucial work of the Kindling Foundation. Grant first visited Maria and the kids in 2011 and knew right then that he was committed to their wellbeing. "Once you meet the kids and feel their energy and see how your contribution can mean so much, it changes the way you see your own life and your place in the world. I feel like I have received way more from Maria and the kids than what they have from me. I just have to keep giving, it’s as simple as that." Introducing the lovely Julia. Julia joined our 2016 Africa trip as a volunteer and is a trained and experienced life coach with a heart full of love. Julia joins our team as the Angel of Hope Counselling Centre Support Manager and will work closely with the councillors in Africa to provide support, guidance and resources from Australia. "Meeting Maria and these beautiful kids shifted something deep inside me. My life simply wasn’t the same when I returned home. My heart was cracked open by the pure love of this community. Maria and the kids had a huge impact on fundamentally how I see the world and my place in it. I just knew I wanted to contribute in a much bigger way and become part of the Kindling team. I am dedicated to helping empower this community, and hopefully many more." Meet our new Community Wellness Manager - the ever smiling Wade. Wade volunteered on our recent trip to Africa, he's a qualified nurse, health coach and all-round awesome human. Wade put his hand up to help drive programs within the community to help the kids to stay active and healthy. He also sits on our board and manages the funds and makes sure 100% of your donations go straight into projects that change lives. "The moment I arrived at the crèche I was overwhelmed with a sense of joy and love. To see and feel a community greet a group of complete strangers with such openness changed something in me. After spending time in this community with the kids, teachers and Maria I knew I could do more for my new family." Aaron has so generously donated his time and skills to help us keep our images and campaigns looking fresh with his epic graphic design skills. We so appreciate this guy for always willingly helping out with our requests, both big and small. Thanks Aaron. "I used to sponsor a child in Malawi and loved seeing the impact that I could have on one child's life, so when a mutual friend of Jen and mine tagged me in a Facebook post about the work that she was doing with the Kindling team and the impact they were having on an entire community, I was more than happy to offer any assistance that I could." Bonnie was first invited to join the foundation in 2017 by fellow creative member, Aaron Averay, when the team needed a copywriter. She was happy to come on board and lend her skills towards a great cause, and is very humbled by Maria and her story. Next: find out about Our Impact here. The wonderful Bas has blessed us with his love, generosity and presence on many of our African trips and has been touched by the stories of Maria and the kids. 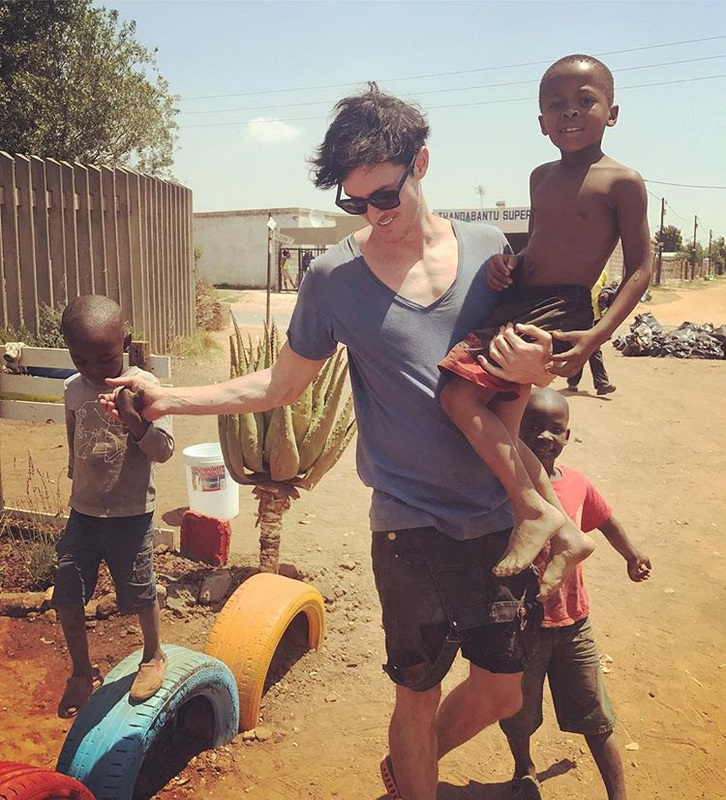 His epic fundraising efforts have helped support many of our projects over the years and more recently he has offered his energy and ideas as one of our Kindling team members helping to drive initiatives on the ground in Africa that help the children and communities we support. I am part of the Kindling family because I deeply believe all people, particularly children, who are the most vulnerable; Deserve to feel safe, valued, loved, important, heard and manifest a future for themselves that only Education can open up to them, regardless of creed, colour or gender.